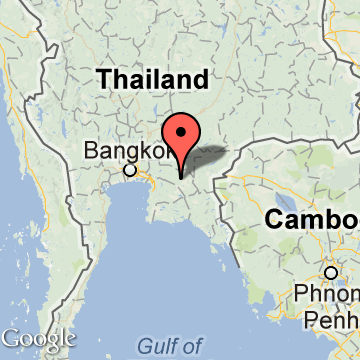 Chachoengsao, also known as Paet Rio, is located to the east of Bangkok in Thailand’s central region. Chachoengsao is a fertile agricultural area fed by the Bang Pakong River. Mango is the most popular fruit grown in the province, and it is the location of the sacred Phra Phutthasothon Buddha image.Derived from Khmer, the name Chachoengsao means deep canal, while the name of Paet Rio (Paet means eight and Rio means stripes) is believed to have come from the method that dried fish (which are abundant in the area) were divided by eight stripes. The history of modern Chachoengsao dates back to the Ayutthaya Period, during the reign of King Phra Borom Tri Lokkanat, when most people lived along the banks of Bang Pakong River and its canals. Prior to that, based on archaeological assumptions, Bang Pakong Riverfront, like many other river basins worldwide, was a center of ancient civilization and habitat to a pre-historic populace. Five thousand year old skeletons and ornaments have been found at Khok Phanomadee, now a village in Amphoe Phanat Nikhom, Chonburi (once a dominion under Chachoengsao's sovereignty) providing the earliest evidence of this notion. According to geographers, between 7,000 and 2,000 B.C.E. the coastline where pre-historic communities resided was much farther inland. Thus, the assumption that Bangpakong people were forefathers of the renowned Ban Chiang men is a sensible assumption. Today, Phra Phutthasothon or Luang Pho Sothon is the center of traditional beliefs and faith for the current residents of Chachoengsao. Chachoengsao or Paet Rio is located 80 kilometers east of Bangkok. Chachoengsao is a fertile agricultural area fed by the Bang Pakong River. Mango is the most popular fruit grown in the province.